The Macquarie Dictionary was the first dictionary to provide Australians with a comprehensive coverage of the language they spoke. It was written by Australians for Australians. It focused on words used in Australia, with many unique to this country. Highly successful and constantly updated to reflect developments in Australian English, the dictionary published its seventh edition in 2017. I welcome the publication of this Dictionary of Australian English, not just as a work of reference on the way in which Australians use the English language, but as evidence of the Australian contribution to the conversation of humanity … This Dictionary is a magnificent collection of the words and idioms we use not just when we talk or write to each other, but of the essential tools with which we will cut a mark on humanity’s epitaph. In the early colonial era, Australian English was heavily influenced by the ‘Flash’ language spoken by convicts. Drawn largely from Ireland, Scotland, Wales and England, convicts brought with them unique regional vocabularies, vernacular usages and pronunciation. Vocabulary was also borrowed from the continent’s Indigenous languages, including place names and the names of distinctive Australian plants and animals. However, this slowly emerging accent and form of English was not embraced by European-born settlers and for at least another century middle-class Australians emulated the vocabulary and pronunciation of their counterparts in England. The gold rushes of the 1850s saw a massive influx of people from around the world, who brought new words and pronunciations. The 1890s was the heyday of The Bulletin, which put into print the colloquialisms of the bush. Those who served in both World Wars also added slang words and colourful expressions to Australian English. From the 1950s, new words have arrived with the each wave of migrants. Samuel Johnson’s Dictionary of the English Language was published in 1755. It was not the first English dictionary but it was the most commonly used until the Oxford English Dictionary was published in instalments from 1895 onwards. In 1828 the American Dictionary of the English Language was published by Noah Webster as a means of asserting America’s distinct national character. The Oxford English Dictionary and Merriam Webster dictionaries were representations of British and American culture. Planning and research for an Australian dictionary began in 1970, a point in history when the country was starting to redefine itself culturally. Australia did not have a dictionary that reflected its interpretation of English. A 1976 pocket version of the Oxford English Dictionary included several thousand Australian words, but it was not definitive and included many words that were used in Britain, not Australia. The Australian dictionary project was led by Professor Arthur Delbridge of the newly established Macquarie University. He was approached by Brian Clouston, managing director of Jacaranda Press, to produce an Australian general reference dictionary. The research team included Associate Professor John Bernard, Senior Tutor David Blair (both from Macquarie) as well as Dr Bill Ramson from the Australian National University. Among the team was research assistant Susan Butler who remained with the Macquarie, as Publisher from 1983 until 2014, and as Editor from 2005 until 2017. The team’s objective was to create a dictionary in which all the pronunciations, spellings and definitions were taken from Australian English usage. It would not just be a dictionary of Australianisms (for that already existed) but would contain the entire vocabulary of English words used in Australia, including those that are common to all English speakers and those that are unique to this country. Dictionary publishers rarely start from scratch. The Macquarie team took as their core body of words the Encyclopedic World Dictionary published by the British company Hamlyn in 1971. From this work, which included words in use in Britain and America, they stripped out words that were irrelevant to Australians, then redefined certain words that had different or additional meanings in Australia, such as the words ‘terrace’ and ‘verandah’. The team added distinctly Australian words from print publications, radio broadcasts, TV programs and seeking word lists from people all over Australia. Specialists were consulted in areas such as chemistry, parliamentary procedure, music, horticulture and so on. The decision to include certain words was methodical but informal, based not on how frequently a word was used in print but on a general sense among the team that the word was in current use. The dictionary also included words used in certain parts of Australia, such as ‘middy’, which is the name for 285 millilitres of beer in some states but in not others. In 1974, Jacaranda was taken over by a large American publisher and they pulled out of the project. Fortunately, Professor Delbridge persuaded Jacaranda to relinquish the rights to the dictionary and it became a Macquarie University research project. Ultimately, the project was saved by publishing entrepreneur Kevin Weldon who established Macquarie Library Pty Ltd through which the dictionary was published. The first edition was published 1981. The team hoped to sell 50,000 copies in the first year. They sold that number in the first three months. The time was right. There was a sense of renewal … there was a great deal of confidence in the Australian community at that point and as soon as people opened the dictionary they recognised it as their English. Before publication, it was hard to explain what you meant by Australian English. So there was a warmth of recognition. Keneally’s comments highlight the intrinsic relationship between language and culture. To understand a language is to comprehend the culture it stems from. Since 1981, Macquarie has developed a range of dictionaries and thesauruses from the original database, including the Pocket Macquarie Dictionary and the Macquarie Junior Dictionary. 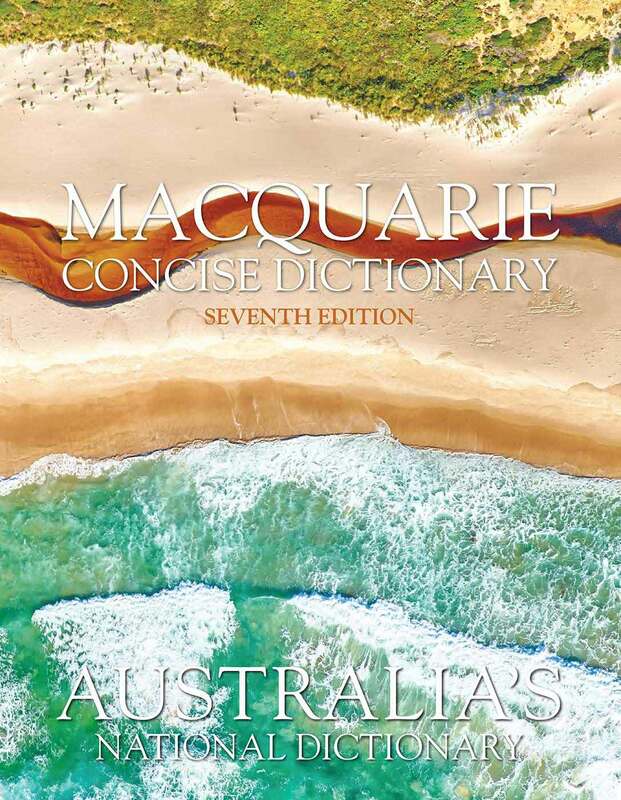 The seventh edition of the Complete Macquarie Dictionary was published in March 2017. The Macquarie is now regarded as an Australian icon. Australia’s history and culture is reflected in its language, and the Macquarie has become a faithful record of language choices.